Cycle fascinated me during my childhood. Now, I am an ardent lover of mountain biking. I love to connect myself with nature. Blazing through rough rocks and leaving a trail of dust behind me has become my passion and life. So, I know the importance of selecting the best, high-quality mountain bike. I enjoy most when I cruise across the street at top speed and climb a steep hill without breaking a sweat. So, my best mountain bike can roll over roots and rocks without any trouble. It must be powerful enough to take momentum in a few seconds and break with power before I hit an obstacle. Budget is the other important consideration when I select best mountain bike under 200 dollars. You may think that picking the best mountain bike is a daunting task, but it is not. ​At first, you must determine the exact amount you can spend for a new mountain bike. You should also save some money for extra like bike seat bag, multi-tools, water bottle, hydration pack, pedals, shoes, bike fit fees, gloves, helmet, and dropper seat post. • It is very expensive to upgrade to parts to your bike in 2 months. Instead, if you spend big now, you will get all those facilities. • You must ensure that you will get for what you pay for. If you pay for the best bike, it must provide you top most performance, durability, and quality. • What type of bike you want to purchase? • What do you want to do with your mountain bike? Downhill or cross country? Jumps? Stunts? Street or free ride? All mountain? Mountain bike touring? Or want a ride for Sunday rides? • Do you want to compete in bike races? • Do you want to mix more than one style? • Are you satisfied with your present style? Usually, Cross Country bicycles are designed around 12 mm travel. These are lightest and have the most efficient pedals. So, you can select between full suspension or front suspension only. If you are very crazy, you can go fully rigid. - Trail mountain or all mountain bikes have 120-140 mm travel. You can use these styles for anywhere. These are designed for handling a wide variety of situations with maximum fun. In fact, this is the most selling style of a mountain bike. - Enduro or freeride mountain style bikes have 150-180 mm of travel. It can bridge the gap between trail and downhill bikes. These bikes are manufactured for making rough trails fast with stunts, jumps, etc. You can also use them for uphill. - Downhill-specific bikes are designed for downhill racing. Usually, they have 200-250 mm travel. These are hefty and are designed only for going down very fast regardless of the roughness of the terrain. ​Your budget has a greater role in the selection of a mountain bike. So, you may be able to purchase a mountain bike, which contains everything you want. So, it is highly beneficial for setting some priorities, which is helpful for narrowing down your searches. When you make the purchasing decision, you should consider all these priorities. The new bike should help you to improve you most. So, ask these questions yourself. • What type of bike you need? • Do you want to get more relaxation at higher speeds? • Do you need only front suspension or full suspension for getting increased comfort and complete control with the wider variety of terrains? • Do you require a bike that allows a greater deal of suspension turning or shifter controls with the fully adjustable brake? • Do you need 27.5 or 29 er? Test rides are highly significant. If you think that two similarly priced mountain bikes of various brands are same, but it is not. The paint job may be same, but you will feel completely different on the trail. If you can test a maximum number of bikes, you will get more and more information. You are aware of the power of knowledge, so just test it and acquire the power! When you do test riding on a maximum number of bikes, you can understand subtle differences between each bike, which include frame geometry variations, etc. • You should take as much as test drives as you can. ​If it is possible, proper 'Bike Fit’ should be performed, which enables you to check whether the new bike can perfectly match your size. • Bike fit involves handlebar, crank arm length, seat changes. However, it is worth for extra expenses and effort. • When your body moves, everything will match to the way. ​You must select the right tires, which is highly relevant. Usually, the tires of the mountain bike will be suitable for your ride. However, you can request for a tire swap, which is helpful for getting the right tires that match the trails and your requirements. 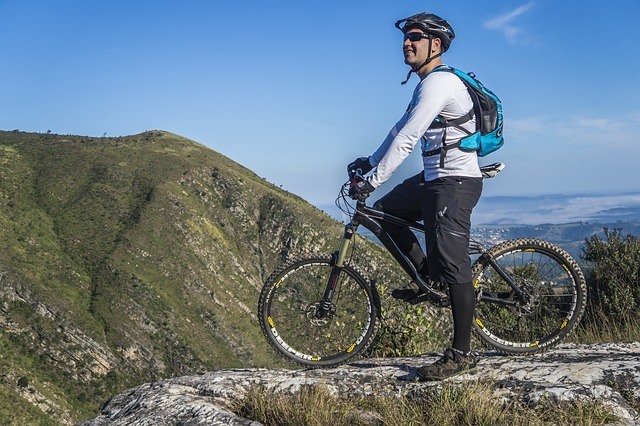 ​Now you are aware of the important things to consider while purchasing a mountain bike. Here is an analysis of the best mountain bikes under 200 Dollars. You can select the best one from this list by your budget, priorities, needs and requirements. Are you searching for something that can be used for almost any purpose? Then, Roadmaster Granite Peak 26” is the best option for you because it runs very smoothly on rugged paths. This bike is also ideal for using around your neighborhood. It comes with suspension fork feature, so you need not worry about bumps on the road. Changing gear is easy because it has SRAM drive twist shifters and 18 speeds. Pull brakes are linear so that you will get the quicker response. Black, 26” wheel Roadmaster Granite Peak is designed for men. Durable aluminum frame, full suspension, rear derailleur, 21 Speed Shimano Shifters, etc. are the stunning features of KZ2600 Mountain Bike. The high aluminum wheelset features high-flange alloy hubs and V-shape rim profile. Disk brakes are placed on the front and rear. In fact, Kent Thruster KZ2600 is good looking, rugged and built for a long haul. Do you want to ride with style and convenience? Then, Foldable Bicycle 6 SP Speed Shimano is the best one. You can easily fold this lightweight bike within 15 seconds. So, storage and transportation of this bicycle are very comfortable. You can fit it in the rear trunk of most compact cars. Usually, these bikes are used for commuting to work, in camping ground, riding in parks, or on mountain trails. The recommendation for riders with a height of 5’3 to 6’0. You have the desire, you have the passion, and you even have a mountain! The thrill of big air as you sail over a jump, blast up hills and plunge precipitously down a near-vertical run, is waiting for you up on that mountain. You will find this type of frame in the pro level full suspension bikes.Here are five mountain biking tips and tricks to help you conquer your personal mountain. Whether you are zipping along a flat trail or climbing a zigzag section, the temptation is to stay in the saddle. This is a bad trick to adopt, particularly when you are riding a more technical section of terrain. Get into the habit particularly when descending, of standing on your pedals knees slightly bent. This stance helps absorb any bumps the trail throws at you while remaining serenely balanced and flexible. When you’re descending rock faces, or riding up steep slopes, or barreling through corners at speed, it’s crucial that you are comfortable moving around on your bike to maintain balance. Shifting your weight forward while climbing keeps the front wheel firmly tracking. By contrast, shifting your weight back while descending maintains your bike’s balance and prevents you from being pitched over your handlebars. When navigating tight switchbacks, constantly shift your weight to the outside to offset the centrifugal force pulling you to the inside. Whether encountering big air off a ledge, rolling a fallen log, or hurtling along a trail, focus on moving the weight on and off your bike. You will need to be able to control your weight distribution both on one wheel at a time and both simultaneously. Either way, compressing and releasing, your weight on the bike will give you are riding a fluid, dynamic style that all so happens to be mega-fun. The place to start is to spend more time on your bike It's an investment, the more time you are on your bike, the more natural it will feel and the better you will eventually become. Whether it’s riding to a mall, to Starbucks or just down the road, put in the time. Build up muscle memory so riding becomes intuitive and something you cease to consciously think about. Riding up and down curbs, swerving around the postman on his rounds, and dragging off the neighbor’s dog as you dink around epic potholes all slowly builds up skills and anticipation. A broad range of mountain bikes is available in the market with lots of options for suspension, gearing, wheel size, brakes and more. If you are a mountain bike enthusiast, selecting the best mountain bike under 200 dollars will be your biggest challenge. Here, we have narrowed down your searc﻿﻿h by considering a series of factors such as budget, suspension, frame materials, wheel size, brakes, fit, and gearing. The mountain bike suitable for one may not be appropriate for the other. I am confident that I have cleared different types of bikes, and this is helpful for you to take a better decision in this regard.I have picked the best quality mountain bikes regarding functionality and your budget. The bikes I have picked can provide you maximum comfort, enjoyment, and satisfaction. So, dear my friend, just keep your mind fresh and choose the best mountain bike from this list.Then, get ready for a great journey!!! Mountain Bikes Under 300 Dollars | Select The Best!